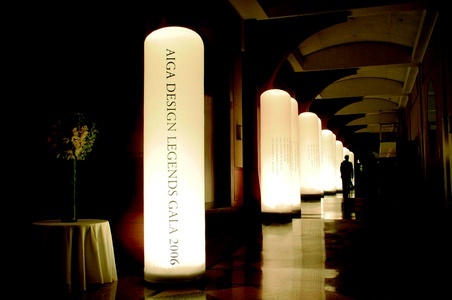 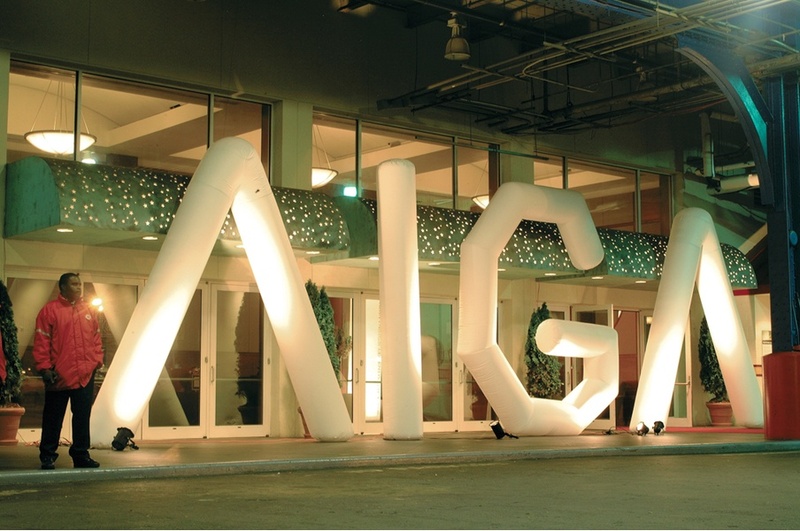 C&G Partners was commissioned to design the event decor for the AIGA Design Legends Gala, the annual celebration in honor of the best talents in design, held at New York City's Pier 60.Large letters were formed by inflated white tubes, sewn specifically to form the AIGA logo across the entrance. 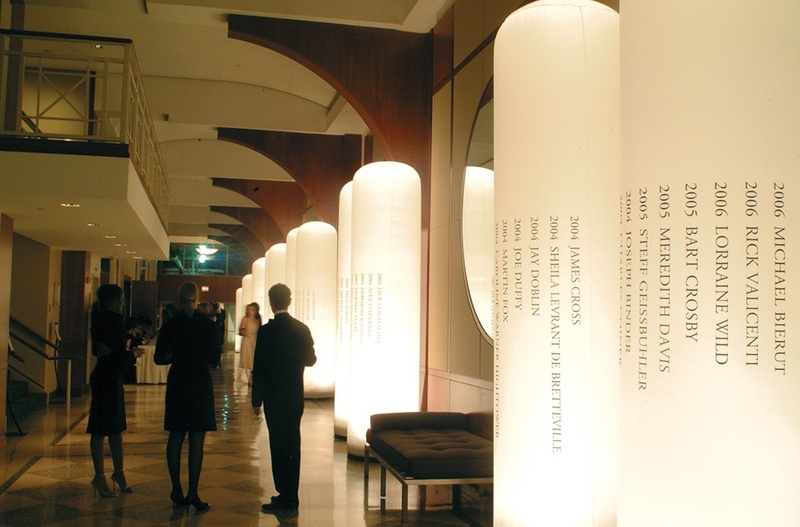 12 interior-lit tubes line the hallway, displaying the names of all former medallists from 1920 to the present while directing guests to the reception area. 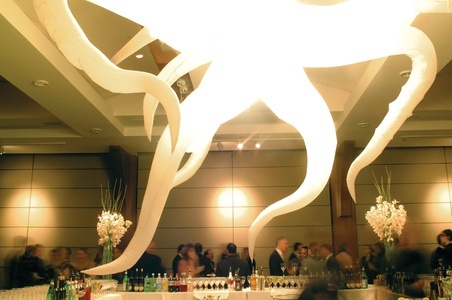 Tubes highlighting the medallists and Design Leadership awardees dominate the ballroom stage, while additional interior-lit sculptural forms round out the atmospheric installation.